Whether it’s a day at the Australian Tennis Championships, the Cricket, the AFL, NRL or even the occasional State of Origin match, sports are one of Melbourne’s favourite pastimes, but sometimes that’s not what your family wants to do with their holiday. Within a couple of hours drive from Melbourne you will find some fun outings to cater to the whole family. Before leaving for your journey, have your car serviced to save yourself from having any unexpected expenses on your trip. When travelling abroad, most people know how important travel insurance is, but not everyone realises the importance of making sure you have sufficient auto coverage when going on a domestic excursion. Finding an affordable Australian provider might take some research and car insurance quote comparison, but it could keep you protected for things like rental vehicle excess, ski insurance, travel delay reimbursements and more. 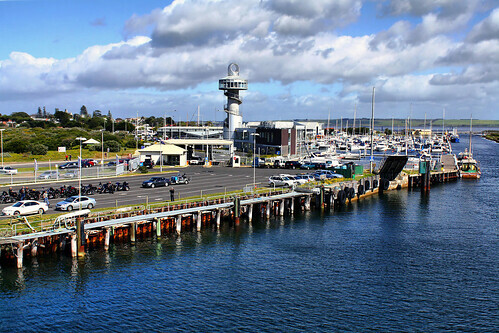 Geelong is based approximately 75 km from Melbourne’s Central Business District and the general Geelong harbour area has had a major makeover in the last few years. There are a number of reasonably priced accommodation options on the waterfront, from 4-star hotels through to B&B’s. Take your walking shoes and experience the harbour front first hand. You might even throw in a fishing line and give your kids a fishing lesson. Nothing beats fresh fish and local restaurants will be happy to cook up your catch. If fishing is not your thing, sample the award-winning local seafood. Aqua Orbs Fun Park: A great spot for all the family is the Aqua Orbs Fun Park on the Promenade of Eastern Beach. Close by is The Carousel — a restored American carousel from the 1800s with hand-carved wooden horses. 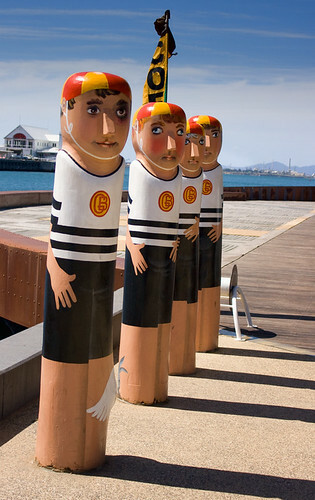 There are 104 bollards along the waterfront, representing Geelong’s history. Not far from Geelong, you will come to Werribee (32 km from Melbourne’s CBD), which is famous for its free range zoo and largest gorilla exhibit in the world, according to zoo.org.au. You and your family can also get involved with the Adopt an Animal program. If you are feeling very adventurous, September through June, you can stay overnight at the zoo through the Slumber Safari option. Werribee Mansion: A 19th century Italian style architecture built in 1877, according to visitvictoria.com. It is surrounded by 10 hectares of gardens, the Mansion Hotel and Spa and the Victoria State Rose Garden, which houses 5,000 roses. Entry to Werribee Park is free. Bellarine Peninsula: The Bellarine Historical Society will give you all the history you need to this fascinating place. 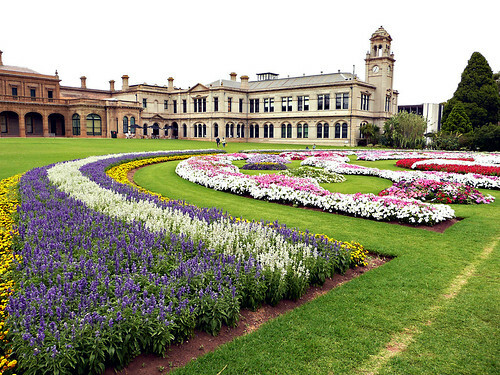 Bellarine is surrounded by Port Phillip Bay and south to Bass Strait. This is a water lover’s dream with everything from surfing, scuba diving, fishing, snorkelling and beach walking. There are local wineries and award-winning restaurants and cafes. This is a guest post for Dutch Australian.